Real estate can be a great way to balance your stock portfolio. Here are three top real estate investment ideas for 2019. 2019 was a bad year for stock investors. For the first time in nearly a decade, the S&P 500 delivered negative total returns for investors. 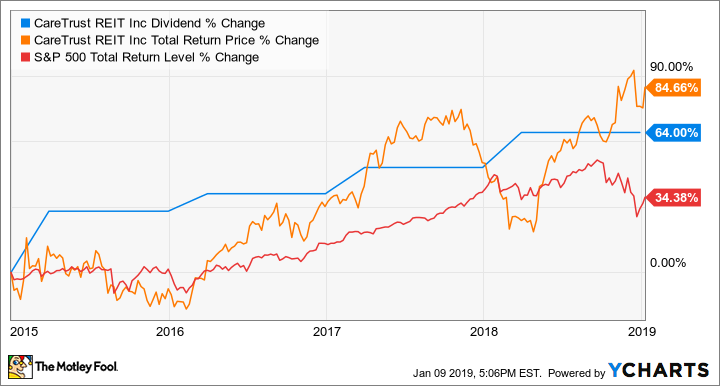 The closest stocks have come to losing years in the past decade were 2011 and 2015, when the S&P 500 was flat and slightly down respectively before dividends, but delivered small 1.4% and 2.1% respective total returns when adding dividends paid. It's a similar story for the Dow Jones Industrial Average, with 2018 being that benchmark's first losing year in total returns in a decade. And while there's no telling what 2019 or beyond will bring for stock investors, we do know that historically, stocks tend to have a down year about one out of every three, and the end of this bull run is a reminder that investors should take the good with the bad. Furthermore, it's also a reminder that having a little bit of diversity in your portfolio can pay off. One way to make your stock portfolio better-built for downside volatility is to own high-quality real estate stocks. In general, real estate stocks don't move in lock-step with broader market indexes; since much of their value is tied to their real estate holdings, plus the predictable cash flows they generate and pay in dividends, they often hold their value better than stocks in down markets. If you're worried about future volatility to the downside, or simply looking for a predictable source of dividends, adding some high-quality real estate stocks to your portfolio could be exactly what you need. Three top real estate stocks investors should put on their buy lists for this year are Retail Opportunity Investments (NASDAQ:ROIC), CareTrust REIT (NASDAQ:CTRE), and American Tower (NYSE:AMT). The past few years haven't been very good for shareholders of Retail Opportunity Investments, better known as ROIC. Since mid-2016, its stock price has fallen 28% as a combination of rising interest rates and overstated fears about the future of brick-and-mortar retail has sent investors shopping in other aisles. Under the leadership of founder and CEO Stuart Tanz, ROIC specializes in high-traffic strip malls on the West Coast, in areas of high population density, higher-income demographics, and limited space for competitive property development. The properties it buys and then leases out are usually anchored by a grocery or pharmacy tenant, driving consistent traffic that draws other retailers, including restaurants, gyms, salons, and other e-commerce-resistant businesses. More recently, ROIC has slowed its expansion, but mainly because real estate prices in many of its target markets have gotten overheated, and Tanz isn't one to overspend simply to grow. Moreover, management has taken advantage of the hot market to sell some of its less-ideal properties. This growth pause has caused many short-sighted investors to sell or ignore this high-quality business, and that's created a wonderful opportunity for investors looking to buy today. 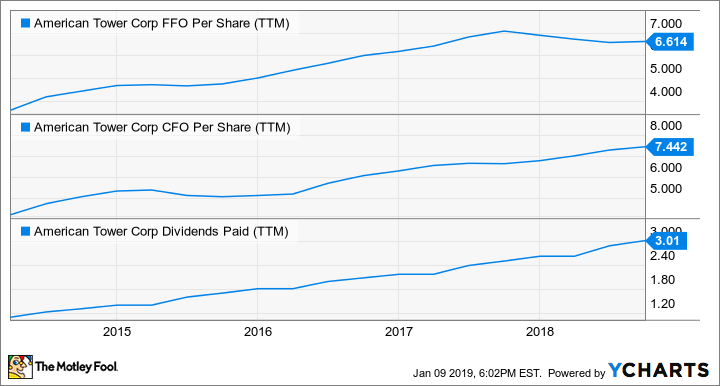 Trading for 14.5 times 2018 FFO, ROIC is a solid value, especially when factoring in its 4.7% dividend yield and history of payout growth. Check out the latest Retail Opportunity Investments earnings call transcript. CareTrust REIT is also led by a founder with a track record of success in a specific space. Co-Founder and CEO Greg Stapley has also proved to be an exceptional capital allocator, having more than doubled the number of properties CareTrust owns since its spinoff from The Ensign Group (NASDAQ:ENSG) in 2014, and rewarding shareholders with a 64% increase in its quarterly dividend since its initiation. That's played a big role in CareTrust's 94% total returns since, more than double the S&P 500 over the same period. Management has slowed down growth investments over the past year as the market for skilled nursing and senior housing properties has gotten a bit overheated. Trading for 15 times 2018 FFO at recent prices, it's not particularly cheap. Furthermore, its 4.2% dividend yield is quite low compared with its peers. But it also has one of the least levered balance sheets and most secure dividends. Its FFO payout ratio is about 66%, leaving it with a sizable amount of cash flows it can use to fund growth and strengthen its balance sheet, while its 4.7 debt-to-EBITDA ratio makes it one of the least levered healthcare REITs and with plenty of ability to add more debt if the right acquisition opportunities arise. While it's possible its price could fall and present a better value, I think most investors would do well to buy now, and then buy more if a better price were to occur. Simply put, CareTrust is too high-quality and its long-term prospects are too good to hold out for a perfect price. The U.S. cellular market is very mature, as is that of many developed nations around the world. But between the expansion of the global middle class and the emergence of many developing economies in the years ahead, the global middle class is set to grow by about 1 billion people over the next decade and change. Factor in the advent of 5G wireless technology over the next few years, and American Tower has incredible prospects for growth in the years ahead. Last quarter, adjusted FFO increased almost 10%, with the company reporting growth from every geographic region it operates in. Here's the big thing with 5G: It's not just about cell-phone users. The technological advances 5G will provide are expected to lead to increased utilization of wireless for non-mobile applications, including home internet and internet-connected devices for industrial and commercial applications. Add it all up, and American Tower has a lot in its favor to drive demand for access to its cell towers much higher in the years to come. Also a bit pricey when you compare it to other REITs, American Tower trades for more than 20 times FFO, while its 2% dividend yield seems downright paltry. But that's because it retains more than half of its cash flows to reinvest for growth. AMT FFO Per Share (TTM) data by YCharts. And while the yield may be small, the payout has grown aggressively. 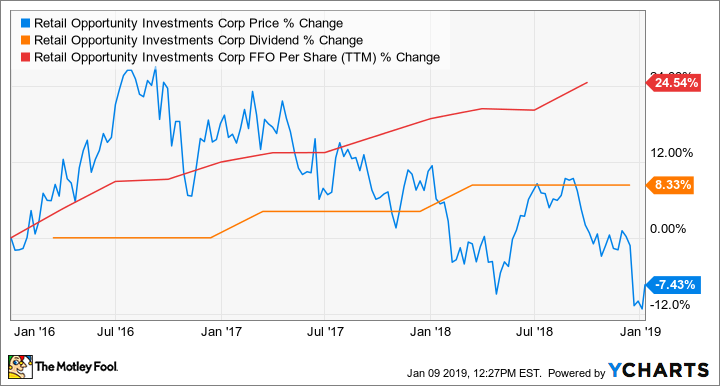 The dividend has increased 163% in less than five years, and you can expect management to continue payout growth. American Tower is another ideal real estate stock to buy this year and hold for the very long term. Check out the latest American Tower earnings call transcript.